← To Live or To Write? Decisions, Decisions! It’s the Fourth of July weekend, I’ve just returned from a cruise and land tour to Alaska, my endocrinologist has started me on a new medication with adverse side effects, Camp NaNoWriMo has just begun, and—naturally—it’s my turn for a blog post. No, I don’t expect any sympathy. I don’t work so I should have plenty of time to write. Right? Rrriiiggghhhttt. Time isn’t the problem. What do I have to say that is worth reading??? Since this isn’t a cooking or entertaining blog, I won’t bore anyone with my plans for celebrating Independence Day. Since this isn’t a medical blog, I’ll save you from a description of how the .05 mg of fludrocortisone is affecting me. For July, I’ve committed to writing an additional 50,000 words of my already started “Claire” novel. Submitting a work in progress is legal during Camp NaNoWriMo but not in November. My brilliant idea for “Camp” was first to outline how I am going to connect the three novels that I have based in the town of Woodbury: “Anne,” “Claire,” and “It Takes a Village Store,” (all evidently working titles) and then write “Claire,” the first book in my trilogy.It made sense a few months ago…. I already have 11,000 words written for this book, as well as a ton of backstory, and I even know the ending—at least the ending as of today—so it makes sense to just whip out the rest of the book. I might even be done before the end of the month…. Happy Fourth of July to all of our followers!! 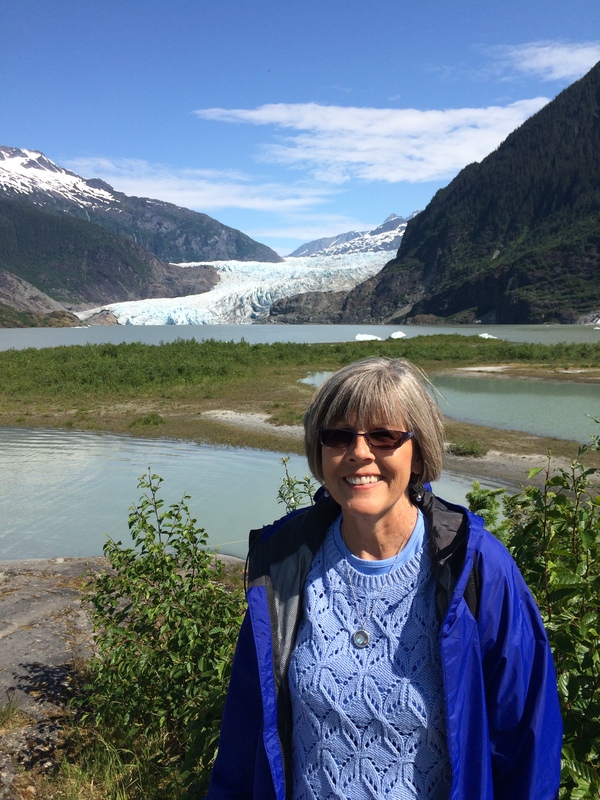 Posted on July 3, 2015, in blogging, Karen Whalen, writing and tagged Alaska, blogging, Camp NaNoWriMo, Fourth of July, Mendenhall Glacier. Bookmark the permalink. 2 Comments. You’re not a hero until you actually perform. But I appreciate your enthusiasm on my behalf! Tomorrow morning Steve is golfing so I plan to do nothing but write! You signed up for 50,000 words?! Are you crazy? All I did was promise 25,000 words, on the understanding (on the web site — it’s kosher) that an hour of “editing” work equals 1,000 words of first draft. There wasn’t a category for just outlining. And I’m already about 750 words short. You are a hero!